Hockey skill rankings are essentially an average of many dynamic factors, including hockey knowledge and experience, skating ability, stick handling skills, athleticism, sportsmanship and opportunity. Each individual is unique and skill ranking calls for objective and honest assessment of a variety of factors so that teams and leagues may be formed around levels of play. A range of skill levels will exist within each rank, with the Level 3 having the greatest range and the greatest numbers. Subtle differences will exist, but the overall average is intended to blur the edges and allow for a margin of error and subjective disputes. All adult (Age 18 and over) league players shall be ranked 1-5 for proper placement in the league and to be averaged as a team for general equality and better hockey. Each player will be asked to self-rank at registration. See descriptions below as well as Skill Calculator on following page. Players may also request to have rank reviewed by the League. Team captains will be responsible for verifying ranking each team player and team average. A Captain’s Committee may review rankings and make adjustments as necessary, voting on any significant disputes. The Adult Director will monitor programs and rankings and has the final authority to make adjustments for the greater good of the league and association. Mis-ranked players run the risk of being removed from a league level and finding no room to play in other levels that are already at capacity. No matter the skill, recklessness will not be tolerated at any level and sportsmanship is mandatory. The Adult Director reserves the right to make changes as necessary and all rules are subject to adjustment. Level 1 skaters are often new to the game of hockey and those that are developing fundamental skating and stick handling skills. Most are learning basic rules of the game and team play. Level 2 skaters have general knowledge of the game and have fundamental skating and stick handling skills. Some will be advancing from a novice level of play and others may be slowing with age and moving down from higher ranks. Level 3 skaters are the great wide middle of adult recreational hockey. Most Level 3 skaters have not had significant coaching or played significant youth hockey as a child, but are generally athletic, have good knowledge of the game, skating and puck handling skills and can play at a general competitive level. Some Level 3 skaters may be slowing with age and moving down from higher ranks. Level 3 normally has the greatest numbers of skaters and the widest range of average skills within the rank. Level 4 skaters have substantial hockey abilities, skills, knowledge and experience. Most Level 4’s have been coached and have played considerable hockey in the past. Some Level 4 skaters may be slowing with age, and/or are interested in playing in a consistent manner appropriate to league play and moving down from Level 5. Level 5 skaters are the best skaters in the league and have exceptional hockey abilities, skills, knowledge and experience. All Level 5’s have been coached and have extensive organized hockey experience, likely to at least include elite high school or junior level play to those who have played advanced college, major juniors or professionally. Level 5 includes a wide range of very skilled players. 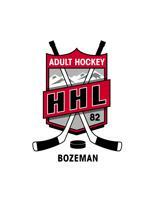 ©2019 Bozeman Amateur Hockey Association / SportsEngine. All Rights Reserved.